Would you like to ensure a beautifully green, lush lawn, no matter the season? Overseeding – part of a proactive maintenance plan – keeps lawns from going dormant during the colder months of winter. If you want your lawn to be green year round, now is the time to overseed. It is important that either you or your landscaper uses Arizona’s cooler season grass – Perennial Ryegrass, during this process. The optimum time to overseed is during October. This is ideal because good seed germination requires sun, adequate water, and contact with the soil while it’s still warm. If you wait until November, the cooler temperatures may slow the process of germination, providing you with uneven results. You may notice that many of Arizona’s golf courses are temporarily closed, as they too, overseed for the winter. To ensure success, without wasting natural resources when overseeding your lawn, follow the next eight tips – and as always, if you have any questions, please contact Elite Landscaping and Sprinkler Repair: (602) 390-4645. #3. The next step is scalping. This lowers the height of the Bermuda, making it easier for the Perennial Ryegrass seed to receive the sunlight it needs, in order to germinate. It is recommended that you drop your mowing height to ¼” – ½”. Clippings can be used as a top-dressing after seed is spread. Fall means a kaleidoscope of colors, cooler temperatures, apple cider, and pumpkin spice everything. 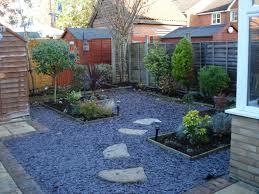 Fall also means that it is time to get your landscaping in shape for the cooler months ahead. We at Elite Landscaping and Sprinkler Repair have prepared the following fall landscaping checklist to help get you started. Aerate the Soil: If you have noticed that water has difficulty penetrating through the soil surface, when you may want to aerate your lawn so that oxygen, water and fertilizer can easily reach the grass’s roots. You can rent a mechanical core aerator for about $30 to $75 for a few hours. You can find these at most garden centers. If you don’t feel like aerating yourself, hire a professional landscaping contractor. Fertilize for Future Growth: Fall is also a great time of year to fertilize your lawn. Even if you only do this once a year, do it in the fall. The reason? Fertilizer delivers essential nutrients, which allows the grass to grow deep roots now, and keep nutrients on reserve for a healthy start to spring. You should apply a quality, dry fertilizer to all grassy areas, mid-to-late fall. Reseed the Lawn: The best time to reseed your existing lawn is in the fall. The ideal time to reseed in most parts of Arizona is in late August or September. It will germinate while temperatures are relatively warm, then grow and mature as temperatures begin to cool, thus ensuring lush green grass in spring. Just make sure not to overseed. Spread Mulch: Spread 2 to 3 inches of fresh mulch around shrubs and trees once in the fall and again in the spring. Mulch helps protect roots from frost and helps retain moisture during cold winter days. It also suppresses weeds and, overtime, mulches made from organic materials break down and increase your soil’s structure and fertility. Shredded hardwood, cocoa mulch, compost, and fresh wood chips all make good choices. Plant Trees and Shrubs: Fall is actually the best time to plant new trees and shrubs. The combination of warm soil and cool air in the fall enables the establishment of strong root systems. September through late October are ideal for planting. When planting in the fall, select balled-and-burlapped or container-grown plants rather than bare-rooted plants, which should only be planted in early spring. Do Some Pruning: A little work now results in healthy plants, shrubs, and perennials come spring. Prune to remove dead or broken branches as well as those with heavy disease or insect infestations. Mid-to-late fall is also a great time to complete some corrective pruning. Corrective pruning means removing parts of a plant that are not growing as they should. Spread Mulch: Spread 2 to 3 inches of fresh mulch around shrubs and trees once in the fall and again in the spring. Mulch helps protect roots from frost and helps retain moisture during cold winter days. It also suppresses weeds and, overtime, mulches made from organic materials break down and increase your soil’s structure and fertility. Shredded hardwood, cocoa mulch, compost, and fresh wood chips all make good choice. Ensuring a healthy, lush, green lawn doesn’t have to waste one of Earth’s natural resources – water, if you maintain proper watering techniques. Proper watering, along with fertilizing, and mowing practices can help prevent a host of problems including: bald patches, insect infiltration, and disease. Below are some basic guidelines for ensuring your lawn receives just the right amount of water this summer. To maintain a lush, healthy lawn, you should completely wet the root zone each time you water. To accomplish this, grass should be watered to a depth of 6 to 10 inches, once every three days during the summer months (June through August). While it may be tempting to water every day, it is not necessary, and is in fact wasteful and expensive. Watering every day can also negatively affect your lawn’s growth. Here’s a test to determine if more water is needed. Using a ten-inch soil probe, sharpened piece of rebar or a very long screwdriver, try pushing it into the ground one hour after watering. If it goes in easily, no water is needed, whereas water is needed if it won’t penetrate the soil. Water your lawn until you can easily slide the probe to the recommended depth of 6 to 10 inches. When Should You Water Your Grass? In the desert, watering in the evenings or early morning hours are the most effective times to water, because wind and evaporation are lower. High winds can distort sprinkler patterns and produce non-uniform irrigation. By watering in the evening or early morning hours, you promote deeper root growth, which ultimately makes your lawn more water efficient. How Long Should You Water? Now that you know how much water your lawn needs, and when you should water, it is important to understand the length of time required to get the recommended amount. How long you should water depends upon the output of your sprinkler system. On average according to Water, Use It Wisely, pop-up sprinklers apply 0.4 inches of water and impact sprinklers apply 0.2 inches in 15 minutes. You can; however, expect to see some variation depending on the conditions. If you notice a big difference – greater than 0.2 inches – then you may want to contact a professional landscape and sprinkler repair expert in order to get more uniform, and as a result more efficient, coverage. To measure your sprinkler systems’ output, follow the steps outlined below. Collect four to eight shallow cans. Spread cans around your lawn, 4-5 inches apart. Turn on entire sprinkler system, and leave on for 15 minutes. Once the sprinklers turn-off, measure the depth of water in each can. Record the numbers on the test can worksheet, found on wateruseitwisely.com, and calculate your sprinkler number according to their directions. If your home is your castle, but the area right outside your backdoor looks something like a postage stamp in need of a landscaping miracle, you probably already know that you have a bit of work to do. While conjuring up a landscaping miracle can sometimes be something of a challenge in a small backyard it is definitely worth the effort. And, although we are no magicians, we most certainly have a few tricks up our sleeves. First off, allow us to define what we mean by landscaping. Many homeowners’ are under the impression that grass and flowers are the only things they can add to their small backyard when in actuality there’s so much more to it. Instead, think of your small backyard landscaping project as a horticulture environment that is enveloped by elements such as artificial lighting, fences, decks, fire-pits, built-in barbecues, natural rocks and other structures. In order to conjure up a lasting, beautiful and valuable landscape in your small backyard it will take some planning and some patience as well as some resources. Taking the time necessary to thoroughly plan and map out this precious space is sure to pay off in the long run. Just imagine sitting at your patio table, sipping on coffee or reading a book, while looking out at your beautiful new landscaping. Forget about how minuscule your backyard may be for a moment, and think about how lovely it will be to take the time to conjure up a great landscaping design that is sure to win your heart over. If your budget presents limitations, you don’t have to invest all at once – you can stretch your small backyard landscaping over the course of months or even years. There’s no need to rush. 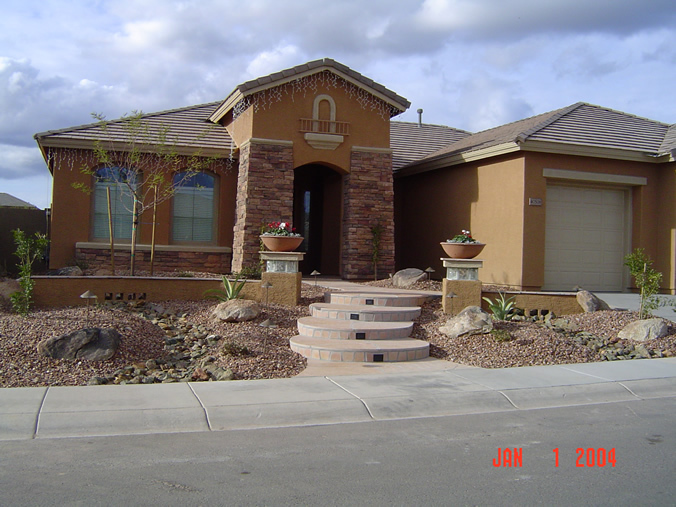 If you’d like more information on how our professional landscaping services can help transform your small backyard landscaping into something magical, please feel to contact Elite Landscaping and Sprinkler Repair at (602) 390-4645! Take it from me: Even in a drought prone state like Arizona, paradise is possible, as long as you have a little imagination. If you’re anything like the average American, you probably don’t spend a lot of time at home, right? That’s what I figured. So, what happens when you want a beautiful yard, but don’t have a lot of time to tend to it? Design to the rescue! With low maintenance landscaping plants and materials, not to mention a little extra start-up time, you can have a yard that can easily take care of itself for weeks on end without compromising curb appeal or comfort. Those of you that have grass lawns, are acutely aware of just how much time and of course water they require, in order to remain beautiful. But grass lawns don’t have to be the end all! In fact, there are several low maintenance options available that may suit your needs far better than a grass lawn ever could. These options include decomposed granite, xeriscaping, ornamental grasses, rock gardens, artificial turf and clever hardscapes. You can also opt to add beautiful fuss free decks around your property. Plants such as aeoniums, papyrus, cordylines, kangaroo paws and small palms thrive on very little water – you can actually use drip irrigation – and rarely need to be pruned or fertilized. 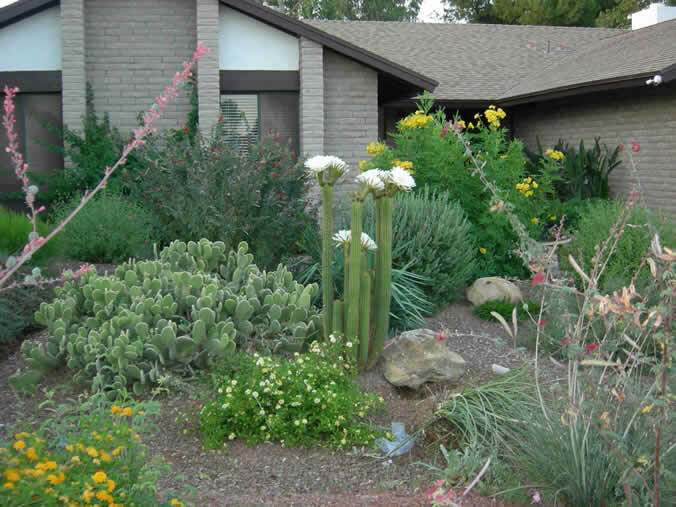 Depending on which plants you select, during Arizona’s dog days of summer, you may need to water them a little bit more – but overall most water wise plants are drought tolerant. Make sure you only choose plants that have been specially designated for Arizona’s climate especially considering that water is a luxury. Plants that are in tune with their environment can help minimize your need for watering them. The last thing any pool owner wants to see upon arriving home from work or play is leaves and debris in their pool. Minimize your need for cleaning your pool by carefully selecting plants that will not shed their leaves or drop other debris into your pool’s water. For more low maintenance landscaping ideas, please feel free to browse our website at www.elitesprinkler.com, or contact us directly at (602) 390-4645. 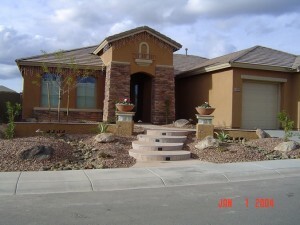 We look forward to the opportunity of helping you design your dream low maintenance landscaping!